*THIS POST WAS LAST UPDATED IN DECEMBER 2015, FOR THE CURRENT YEAR’S POST, CLICK HERE. Chicago is one of the best cities to visit during the holiday season. The holidays begin in earnest in Chicago with the Magnificent Mile Lights Festival at the end of November. There is a spectacular night time tree lighting parade down Michigan Avenue, with Mickey and Minnie serving as the Grand Marshalls, complete with floats, balloons, and marvelous marching bands. The ceremony concludes with a stunning fireworks display above the Chicago River. The holidays are a wonderful time to find yourself in the city of Chicago and its suburbs because the city puts forward its most dazzling display of entertainment for locals and tourists alike. 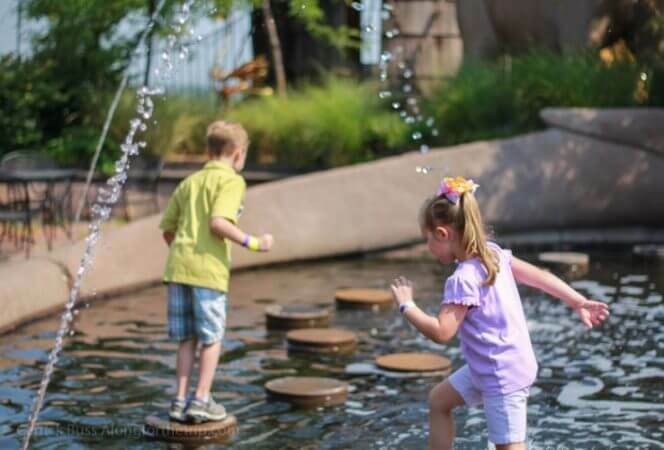 One of our favorite adventures in the city is heading to the Museum of Science and Industry to see this exhibit every year. 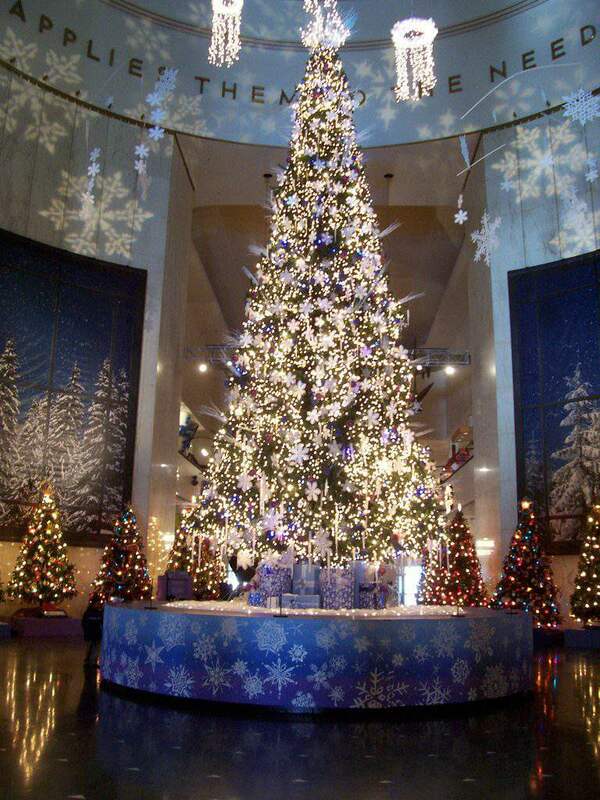 The halls of the museum are decorated with more than 50 Christmas trees and displays representing different countries from around the world. Each year there is a grand 45 foot tree decorated to go along with a current exhibit at the museum (in the past, there has been a Peanuts themed tree and a Dr. Seuss tree). This year the tree is covered in all the Disney trimmings you could ever want to go along with the museum’s Treasures of the Walt Disney Archives exhibit. Every weekend there are performances featuring music and dance from around the world. Definitely worth a visit. Admission to the ice skating rink at Millennium Park is free, so you can either bring your own skates or rent skates once you arrive. When you’re finished, you can enjoy hot cocoa and snacks at the nearby café or any of the restaurants lining Michigan Avenue. Right next door at the Cloud Gate, there is caroling every Friday night by various choirs. These free performances make for a festive holiday evening. After you take a tour around the outside to admire the festive windows of Macy’s, head inside to admire the giant Christmas tree and gorgeous holiday decorations. Make a reservation to have lunch in the famous Walnut Room, a Chicago institution since 1907, plan for holiday tea at one of the many downtown hotels (the Drake, the Peninsula), have a mom/daughter day out at the American Girl store, or catch a holiday show. Make a day of seeing the city. A great experience for all ages. 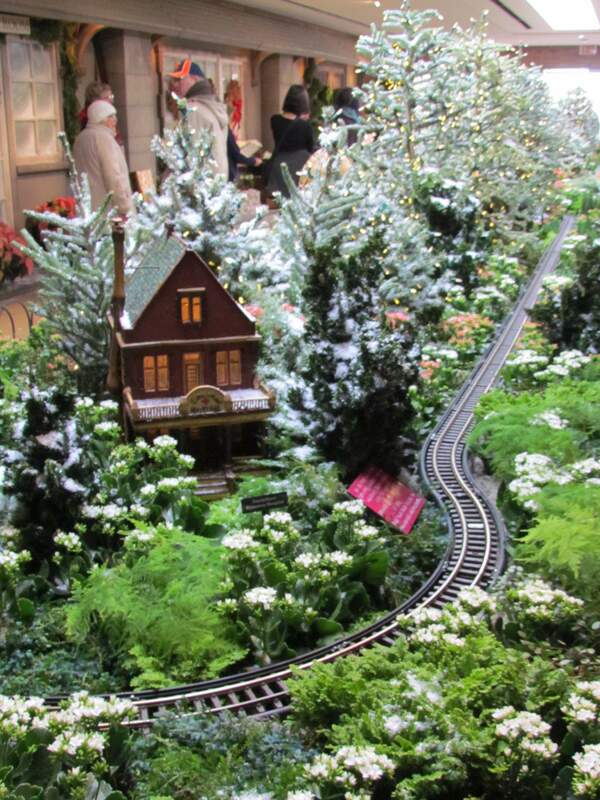 Wonderland Express at the Chicago Botanic Garden features a railroad garden with trains chugging through Chicago in miniature decked out for the holiday season. At night the gardens come alive with over 750,000 lights shining brightly amongst the trees and paths. Various activities throughout the month include hot cocoa with Mrs. Claus, caroling, and even a visit with Santa. Reserve tickets online in advance. When I was a kid, we used to pile into the family car and drive around town looking at the everyone’s holiday lights. The Lincolnwood/Sauganash neighborhood (essentially Pratt Avenue on the north, Edens Expressway on the east, Devon Avenue to the south, and Cicero Avenue on the west) has taken this to the next level, creating a neighborhood festival light experience. The best part is, it’s free, you just pay for your gas. Located inside Chicago’s Navy Pier, this is literally a 170,000 square foot winter amusement park for children. Highlights include a skating rink, indoor ferris wheel, bounce houses, and the Sky Glider. 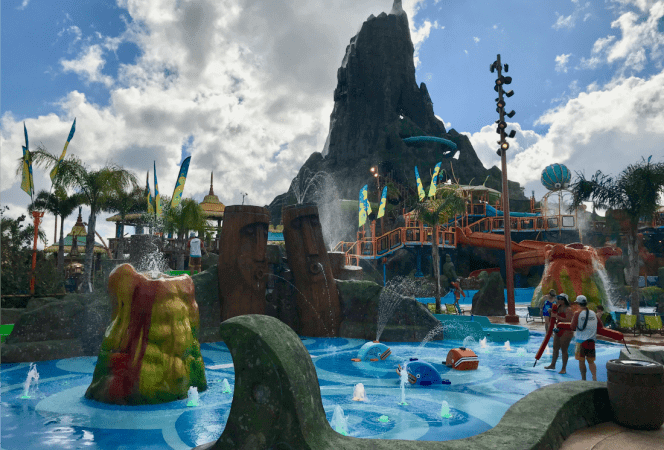 Some tips: buy your tickets online (discounts), get there early or go on a weekday to avoid the crowds, and know that there are height restrictions on some rides, so check the website before you go to be sure your children will be able to enjoy most of the experience. Since I have never been to Germany at Christmas time, I can only assume this is somewhat similar. Vendor stalls filled with nutcrackers, ornaments, and cuckoo clocks adorn Daley Plaza, along with food vendors. The market has a real international flair, with vendors from Germany, Nepal, and Ecuador, to name a few. The kids love going every year and savoring the bratwurst and the pretzels. The event is free, but it can be crowded on weekends. If you want to know what a real Christmas market is like, read World Traveler In Training’s guest post about the Christmas market in Hamburg, it make you want to put a trip to Germany on your bucket list if it isn’t already. 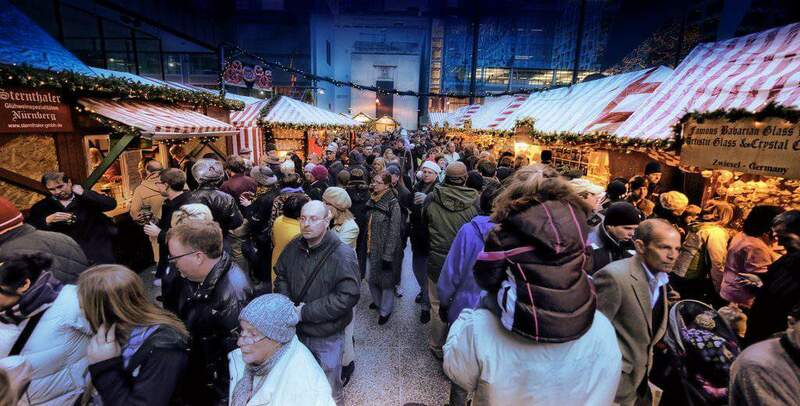 Christkindl Market can be crazy and busy, so go early! This is a very unique experience at The Morton Arboretum located in Lisle, about 35 minutes west/southwest of the city. At night the arboretum’s trees and plants come alive, decorated with thousands of strands of interactive lights. Visitors stroll along a mile long trail, while music from the Chicago Symphony is piped in through speakers along the path. Warming tents along the way provide hot cocoa and apple cider for purchase on cold nights. Without giving too much away, it’s an experience you have to try to understand it’s magic. Purchase tickets online before heading out. Both of these zoos offer fantastic holiday light shows, featuring twinkling lights in the shapes of animals, holiday treats, crafts, and food and drinks for purchase. The Lincoln Park Zoo has free admission, Brookfield Zoo does not. Do not expect to go to the zoo and see many animals. It just doesn’t seem to happen much at night. Both zoos can be crazy busy, so go early, and if you need to buy tickets, buy them in advance online. I have decided that December is my favorite time of year to spend time in the city of Chicago. 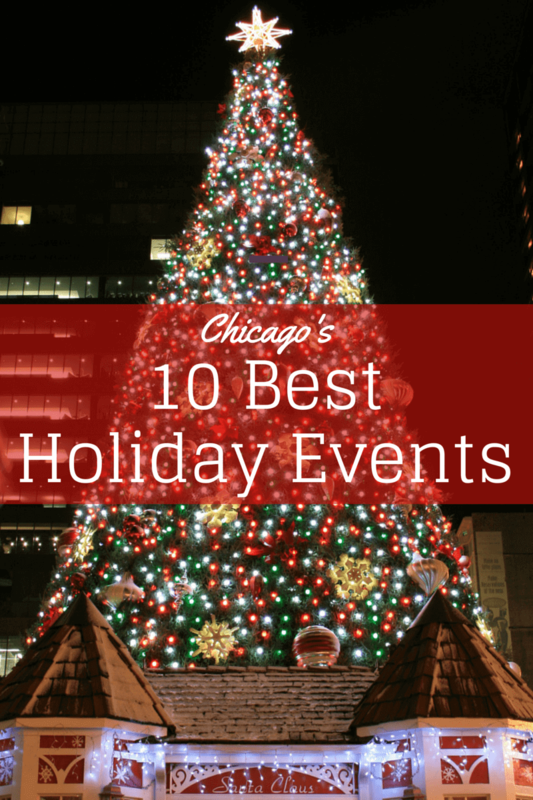 Do you have a favorite holiday event in Chicago or the suburbs? I would love to hear about it.